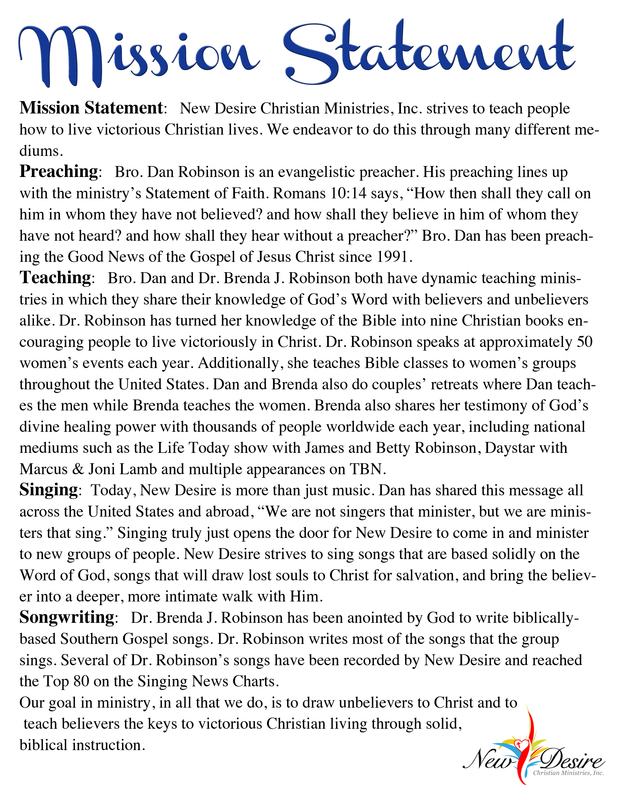 In 2015, New Desire expanded their borders and established a full-time presence in the Central American country of Honduras. The ministry headquarters is located an hour and a half north of the capitol city of Tegucigalpa in the rural village of La Ermita. An unfinished house was purchased on a small piece of property in the heart of the community with a vision that it would become a home for our mission work in the area. It is truly amazing to see all the work God has done in Honduras in just the few short years New Desire has been established here. We have witnessed so many coming to a saving knowledge of Jesus Christ, watched as leaders who are on fire for the gospel have grown from new believers, and seen entire families changed through the power of Christ. We want you to be a part of this work! 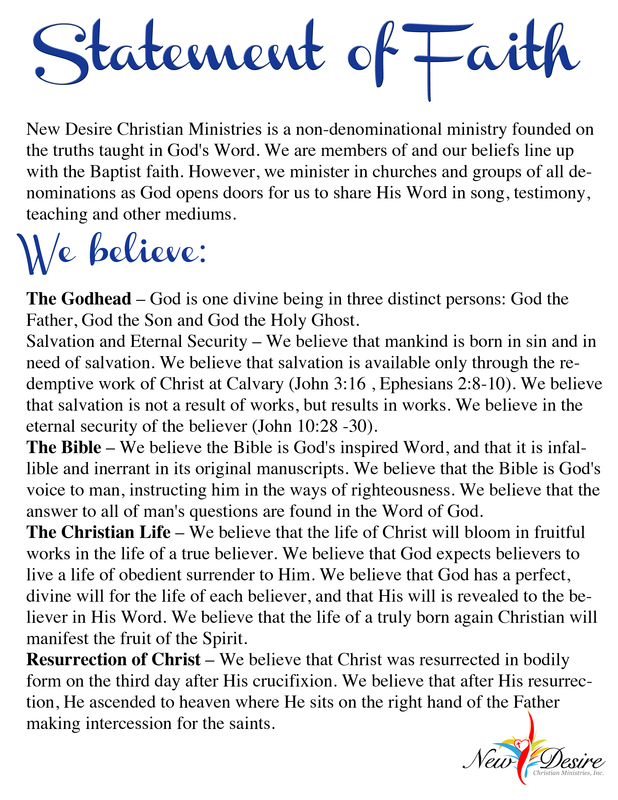 A normal week at New Desire Church is packed full of ministry events and services including: Elderly and children's feeding kitchen, Tuesday night prayer service, Thursday night woman's service, Saturday youth service, Sunday morning church, and Sunday night men's Bible study. Without including the many special events and other needs that are meet when they arise; one can see that their is never a dull moment at New Desire Church. In the town of La Ermita there is an abundant amount of ministry opportunities. Our staff will be able to accommodate each group according to their specific talents or gifts. Opportunities include evangelism, food distribution, crusades, VBS, health clinics, construction, recreational (sports) activities, Bible studies, prayer services and much more! There is something for everyone in the work of the Lord! If you or your group would like to book a trip to Honduras, please contact us at our home office at 770-684-8987. The all-inclusive price per person (flight, meals, lodging, vehicle rental and fuel, translators, rice & beans for distribution, etc.) is $2000.00 based on a 5-7 day trip. If you would like more information or have any questions, please contact us. 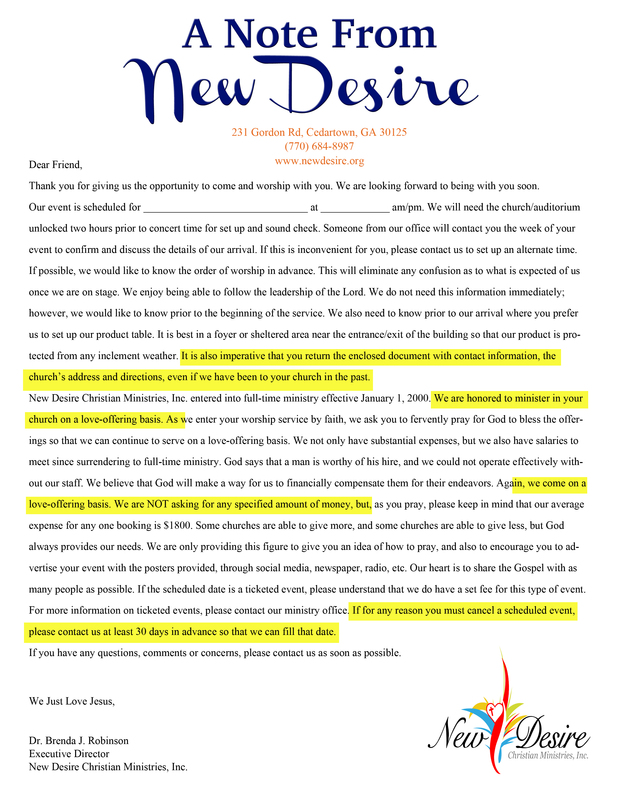 Keep in mind that New Desire is a 501(c)3 organization; therefore, any donation that you make to the ministry is tax deductible and you will receive a tax receipt at the end of the fiscal year. It is our goal to start a medical fund so that all emergency medical needs can be met as they arise. We will also accept any and all medical supplies. The New Desire Mission House is equipped to house large church groups or teams of missionaries who want to share their love for Christ on the mission field. If you are unable to make a trip to Honduras, but you would still like to be a part of the work that is going on there, we have opportunities for you as well! You can become a monthly supporter of New Desire Missions to help us feed families in the community by contacting our office. We also pray that you or your church would consider donating to meet one or more of the immediate needs mentioned above.